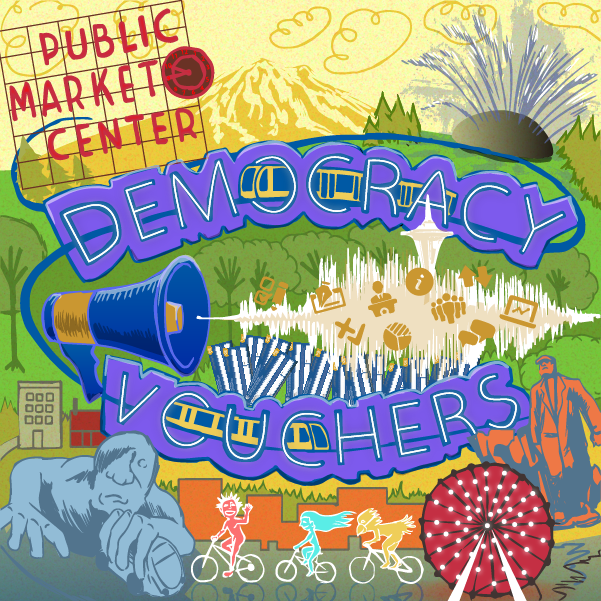 Democracy Vouchers give Seattleites a stronger voice in government. In November 2015, Seattle voters passed a citizen-led initiative known as “Honest Elections Seattle” (I-122). I-122 enacted several campaign finance reforms that changed the way campaigns are typically financed for Seattle candidates. One major reform allows the Seattle Ethics and Elections Commission to distribute “Democracy Vouchers” to eligible Seattle residents. Eligible Seattle residents will receive four $25 vouchers they can use to support the candidate(s) of their choice running for Seattle City Council or City Attorney. Get your Democracy Vouchers in the mail & keep them somewhere safe. How do I get my Democracy Vouchers? If you are a registered voter in the City of Seattle, you will automatically receive your Democracy Vouchers by mail after January 3, 2017. 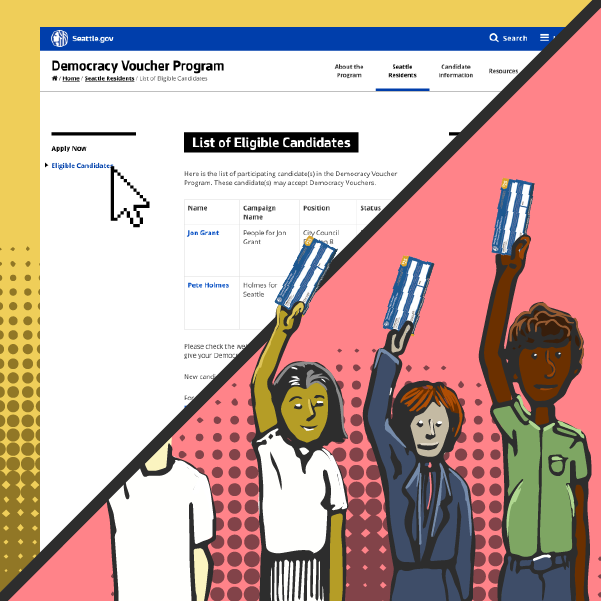 If you are a lawful permanent resident or are not registered to vote, but live in the City of Seattle, you must apply online to participate in the Democracy Voucher program. How do I get my Democracy Vouchers replaced if I lose them? 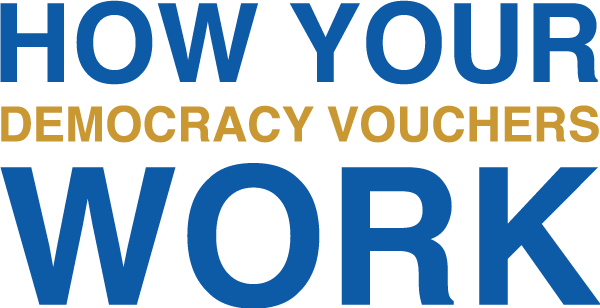 If your Democracy Vouchers are lost or damaged, please email democracyvoucher@seattle.gov or call the Seattle Ethics and Elections Commission at 206-727-8855 to request replacement vouchers. Decide what qualified candidate(s) you want to support with your Democracy Vouchers. Assigning your Democracy Voucher to a candidate is the same as donating to a campaign. Candidates who are eligible to receive Democracy Vouchers must follow strict ethics and reporting guidelines to qualify for the program. Residents assign their Democracy Vouchers to candidates by writing on their voucher the eligible candidate’s name, date the voucher was assigned, and resident’s signature on each voucher. Vouchers may be redeemed anytime between January 3, 2017 and November 30, 2017. 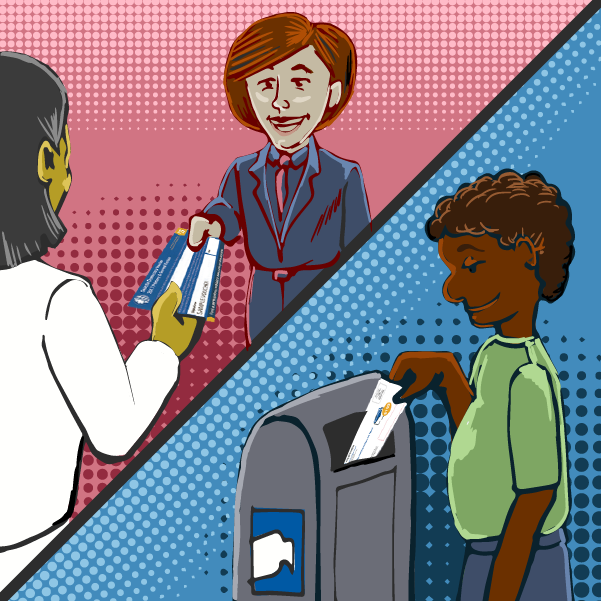 Give your Democracy Vouchers to your favorite candidates (up to 4 candidiates) or mail them to the Seattle’s Ethics and Elections Commission. Giving your vouchers directly to the qualified candidate’s campaign. 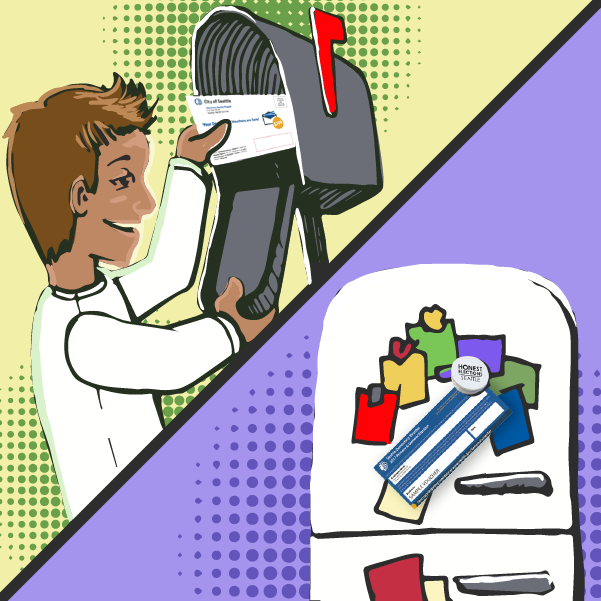 Mail your vouchers to Democracy Voucher Program, PO Box 35196, Seattle, WA 98124.